Located 60 miles southeast of Tucson, the Las Cienegas National Conservation Area is home to a rich diversity of vegetation and wildlife. Cienega Creek, with its perennial flow and riparian corridor, is the heart of the Las Cienegas. The historic Empire Ranch was one of the first large ranches in Southeastern Arizona. The area is managed by the Bureau of Land Management, Tucson Field Office. Scoping prairie dogs at Las Cienega National Conservation Area. 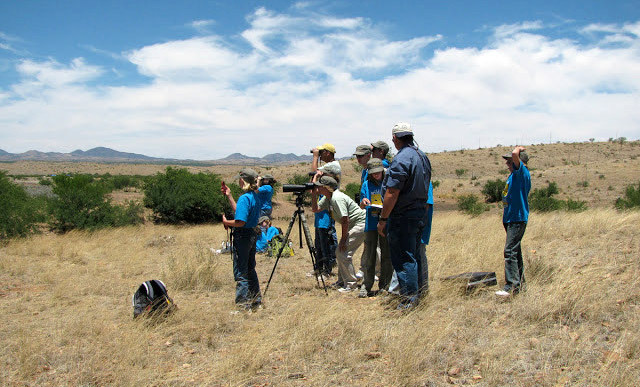 Science educational resources at Las Cienegas NCA relate to water, wildlife, plants, and citizen science. Social studies educational resources at Las Cienegas NCA relate to cultural history, geography, and citizenship in action. A landscape investigation is a framework for conducting a long-term study of the area.